White-yellowish wine with green-grey hues. Stands out for its freshness, its light aromas that bring rose petals and citrus fruits to the nose, and its light body. Deep rich red colour with purple hues. An elegant and delicate aroma of black fruit, combined with an extremely rich and well balanced fruity taste with fine acidity and soft tannins. A rich garnet red colour combined with a complex and highly structured aroma of sweet red and black fruits, make up this delicious wine. Light golden colour with green hues with honey and lemon scents composing a highly aromatic bouquet. Clear, golden yellow colour combined perfectly with a heavy, extremely fragrant bouquet of wild flowers. In terms of taste it features a rich body with good structure where honey and ripe fruit successfully compete with one another. Dark amber colour with brown hues and an aromatic intensity of a sweet fruit bouquet with distinct presence of figs. Clear look and deep amber colour with fruity aroma background, mixed dried fruit with intense hues of walnut. A deep brown colour, indicative of this wine’s ageing combined with a refined complex bouquet of raisins and dried fruits such as figs, prunes and walnuts that stand out for their quality and delicateness. We have a long history and many awards! he night covered the events and untold stories with absolute secrecy… The colours tended to become blue black, the shutters were closed and the noises were lowered down to subtle, vernal sounds. 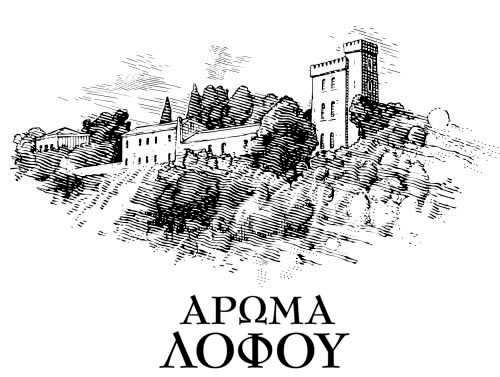 Only a quiet plop could only be heard now, and only in selected points of this restless city: “Aroma Lofou” certainly a wine with light taste, delicate scents and ivory aftertastes. “Aroma Lofou” being poured like a small waterfall into an elegant crystal glass, with excellent architecture, with a very arty stem and calyx.